This academic term saw an opportunity for students at McGill University in Montreal to learn about Project of Heart. Dr. Marie Wilson, Commissioner of the Truth and Reconciliation Commission, now McGill’s “Professor of Practice in the Global Governance Institute for the Study of International Development” within the Institute for the Study of International Development, arranged for Project of Heart be presented to her students. 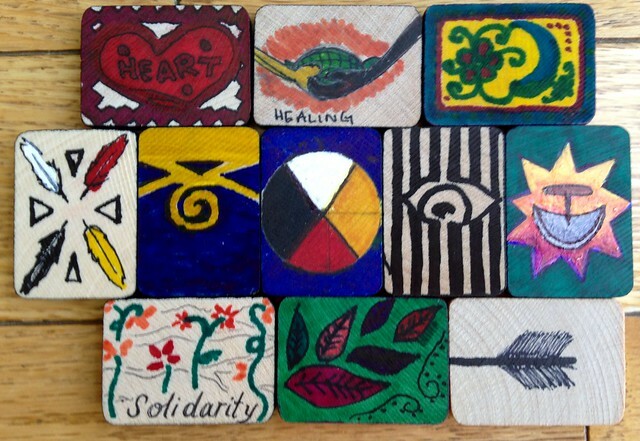 Her course, “The Healing Imperative of Truth and Reconciliation” is taught to students who come from a wide range of disciplines and an impressive array of life-experiences. Dr. Wilson’s students had prior knowledge of the IRS and were fortunate enough to have witnessed an IRS Survivor give his story during a previous lecture. Participants thoughtfully and respectfully created gestures of reconciliation — remembering the children who were all but lost to history. Questions and answers followed the presentation and a Kairos petition, — the social justice component of this POH presentation — circulated around the room. The petition requests that the Government of Quebec fully implement an age-appropriate curriculum on residential schools, Treaties, and Aboriginal people’s historical and contemporary contributions to Canada, as per the Truth and Reconciliations Calls to Action on Education. Our thanks go out to Dr. Marie Wilson, for inviting Project of Heart to her class and for demonstrating what can be accomplished when the heart and the head work together for positive change! Chi meegwetch!